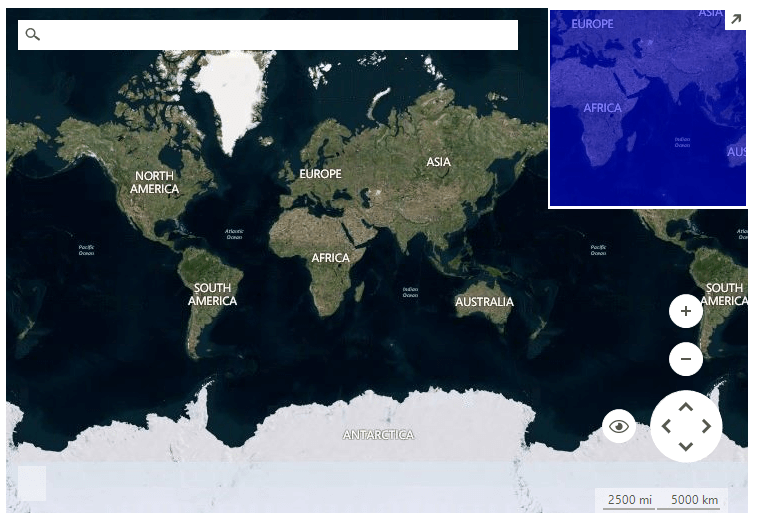 RadMap can visualize tile data from the Bing Maps REST service. You can enable tile caching to a local folder by setting a new LocalFileCacheProvider to the BingRestMapProvider.CacheProvider property. You must provide a Bing Maps Key to the provider for it to work. To get your free Bing Maps Key, please refer to the following link: Getting a Bing Maps Key. Only billable transactions count towards the free-use limits for Basic keys, and Enterprise keys are only charged for billable transactions. Non-billable transactions do not incur charges and do not count towards free-use limits. You can find additional information in the following link: Billable versus non-billable transactions. Dim cacheFolder As String = "..\..\cache"
If you use RadMap with .Net Framework 2.0 and you don't have an installation of the Telerik UI for WinForms suite on the current machine, it is necessary to add a reference to the Newtonsoft.Json assembly which can be found in the \Bin folder of the Telerik_UI_For_WinForms_[version]_Dev_dlls.zip. If you are using .Net Framework 4.0 this is not required. BingKey Gets or sets the Bing key. UseSession Gets or sets a value indicating whether to use session key. SessionId Gets the session identifier. ImagerySet Gets or sets the imagery set. The possible values are: Aerial, AerialWithLabels, AerialWithLabelsOnDemand,Road, RoadOnDemand, CanvasDark, CanvasLight, CanvasGray, OrdnanceSurvey. Initializing Gets or sets a value indicating whether this BingRestMapProvider is currently in the initialization process. Initialized Gets or sets a value indicating whether this BingRestMapProvider is initialized. MaxZoomLevel Gets or sets the maximum zoom level. MinZoomLevel Gets or sets the minimum zoom level. TileSize Gets the tile size. CacheProvider Gets or sets the provider used for data caching. EnableCaching Gets or set a value whether the caching is enabled. TileDownloader Gets or sets the tile downloader. The ImagerySet.OrdnanceSurvey is only visible in the Great Britain area and in between zoom levels of 10 and 17. GetTile Gets the tile uri. GetTileImage Gets the tile image. CalculateRouteAsync Calculates the route asynchronously. SearchAsync Performs search request asynchronously. CalculateElevationAsync Calculates the elevation asynchronously. GetSupportedViews Gets the supported views. BingRestMapProvider supports Aerial and Road MapViewInfo. SetView Sets the view in the BingRestMapProvider. InitializationComplete Fires when the initialization is completed. InitializationError Fires when an error during the initialization occurs. ProviderUpdated Fires when the provider has been updated, e.g. when a tile is downloaded. CalculateRouteCompleted Fires when the route calculation is completed. CalculateRouteError Fires when an error occurs during route calculating. SearchCompleted Fires when the search request has completed. CalculateElevationCompleted Fires when the elevation calculations is completed. CalculateElevationError Fire when an error occurs duriong elevation calculating.